SmartRoute is a minimalistic routing tool that helps you avoid traffic without being distracted by a screen. 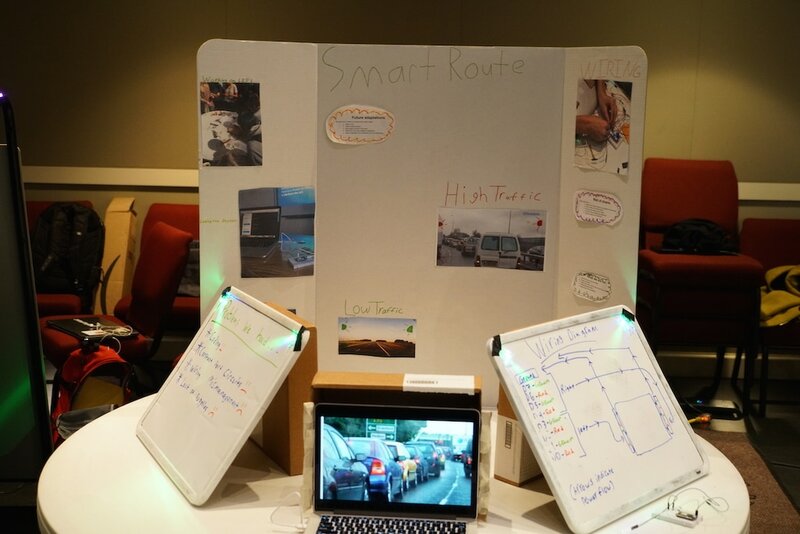 SmartRoute uses LEDs placed around the windshield to show the quickest way to a preset destination. The light glow that the LEDs display is unlikely to distract the driver and does not require them to use a cell phone while driving. The LEDs can also display traffic information when no route is inputted.